In the previous article, I introduced you to restaurants in Cape Town where you can enjoy your first taste of game meat while enjoying the beautiful ocean and Table Mountain views. Now, join me in exploring some Johannesburg restaurants where locals really appreciate and know their meat. Expect restaurants emulating that “real” African safari feeling with bonfires, braais, African scultpures and ornaments – set against the backdrop of thorn trees and bushveld. What makes Johannesburg special is that despite being the economic hub of South Africa, you can find yourself admiring the beautiful bushveld and visiting game reserves and plains game hunting farms only a few hours’ drive from the city. One thing for sure is that Johannesburg (and Pretoria) people know how to cook meat to divine perfection. 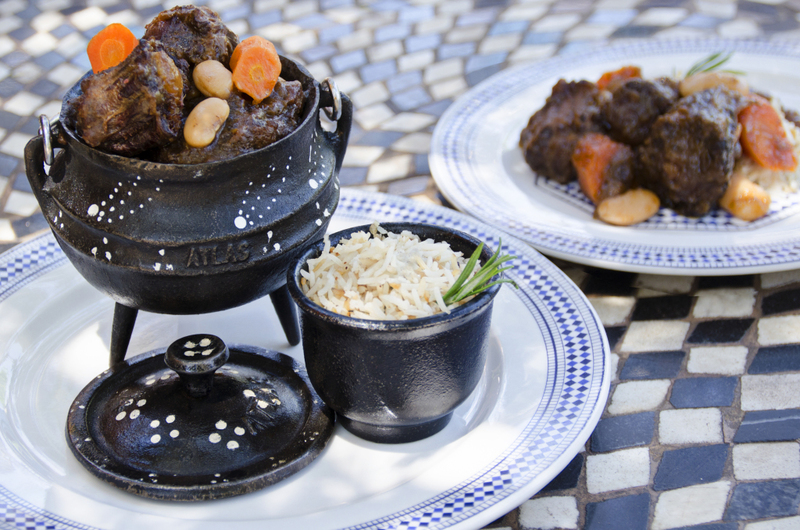 Let us look at restaurants in Johannesburg where you can enjoy game meat, prepared and cooked the Gauteng way. If you want to release your inner meat-eating caveman, then Carnivore is definitely the place for you. Carnivore has won many prestigious awards including ‘Best Traditional Restaurant,’ ‘Best Restaurant to Take Tourists,’ ‘Restaurant of the Month’ and runner up to ‘Restaurant of the Year.’ No meat eater will be disappointed dining here. A teak walkway surrounded by dainty trickling water features guides patrons into a themed entrance known as the “Hall of Kings,” attractively decorated with African art works on bamboo walls. The African theme is reiterated throughout the restaurant but the most drool-worthy attraction is the 52 Masaai tribal spears holding a variety of meats, such as sausages, beef, chicken, pork and game meat. For the curious and adventurous, there’s even crocodile and zebra to try. Address: Muldersdrift Estate, 69 Drift Boulevard (R114), Muldersdrift. 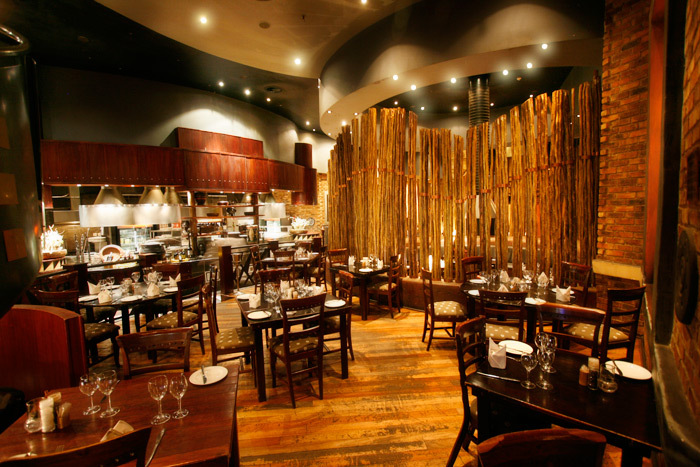 Tribes African Grill Steak House is located in the glitzy Emperors Palace. Expect a modern African theme with delicious food to match. Décor is reminiscent of ancient African tribes, which is sure to leave a lasting impression of your superb dining experience. 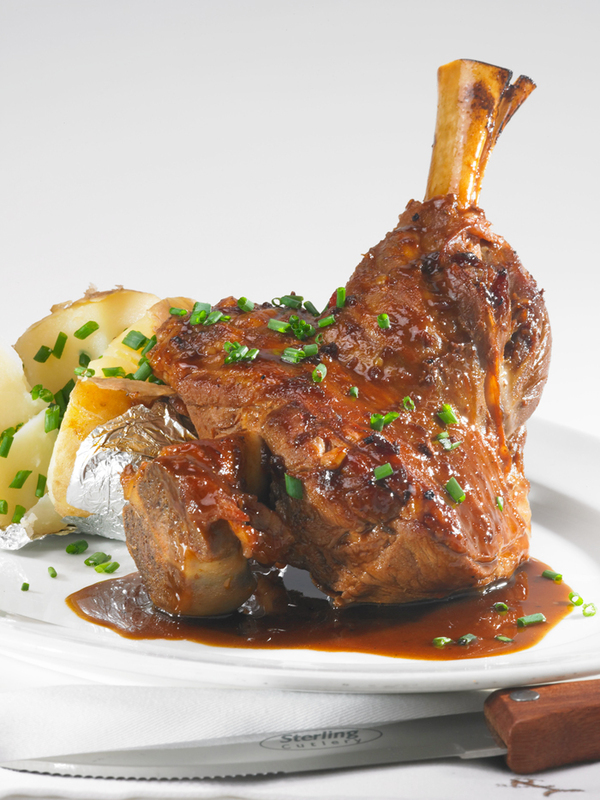 Their extensive menu serves the very best beef steaks, venison, lamb and traditional South African specialities. 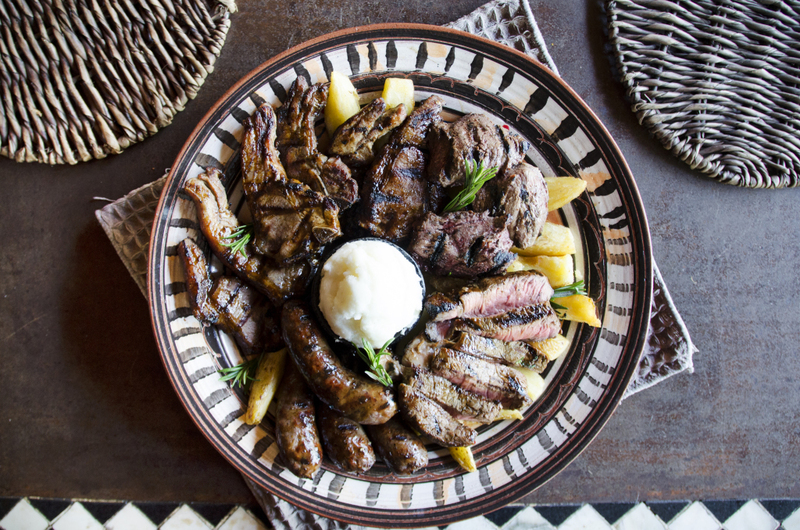 Those who’d love to try game meat can choose between warthog, kudu, impala or a game platter with an assortment of meats. View the menu. Address: Shop 23, Emperor’s Palace, 64 Jones Stret, Jet Park. Contact: (011) 397 6512 Trading hours: Monday to Thursday 11:30am – 10:30pm. Friday & Saturday 11:30am – 11:30pm. Sunday 11:30am – 10pm. There’s a good chance that no one does African cuisine and ambience better than Moyo. Inspired by the traditions and values of Africa, at Moyo you can expect diverse dining in a welcoming and happy atmsophere. Choose between a relaxed lunch or a romantic dinner, while the beat of African drums and expressive vocals contribute to an upbeat mood. Moyo also provides a platform for up-and-coming artists who’ll have the opportunity to showcase their talent in front of patrons. When dining at Moyo, expect colourful costumes, dramatic acts and fancy footwork – all of which are sure to delight! If you look on Instagram at the photos of those who’ve dined at Moyo, you’ll notice the prettiest patterns painted and dotted along their faces. This is Moyo’s trademark, which is done by the Wishy-Washy ladies to welcome guests to the age-old tradtion of African face painting ceremonies. View their delectable menu here. Address: 5 High Street, Melrose Arch, Johannesburg. Trading hours: Monday to Sunday 11:00am – 11:00pm. If you’re interested in plains game hunting or train-driven bird hunts, why not try it in South Africa? Contact Rovos Hunting Safaris, a luxurious hunting charter, for details about their various hunting trips.